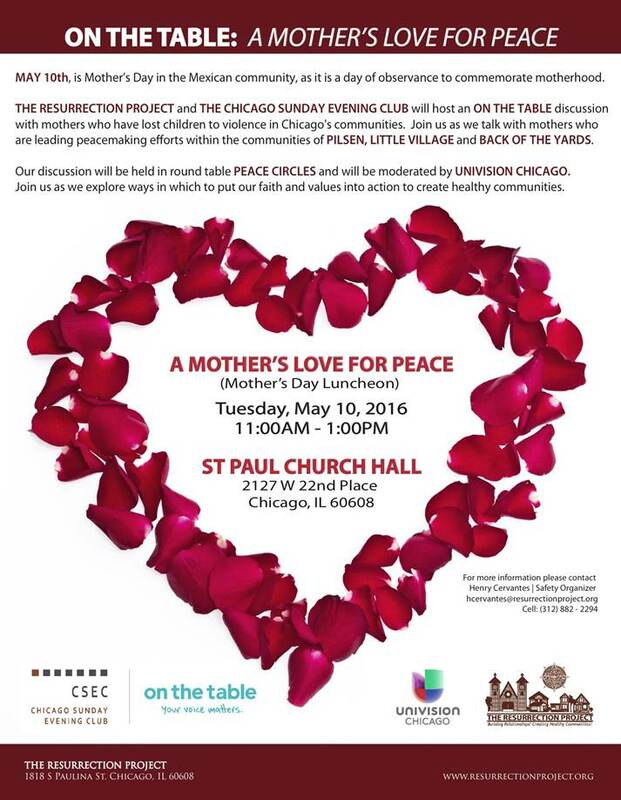 On May 10th, the Sunday Evening Club is co-sponsoring an On the Table event with The Resurrection Project and Univision Chicago at St. Paul's Catholic Church. Planning your own event? Click here to find out how to partner with us!